Last updated by Marcia Mayne at September 19, 2013 . The technique used to make earthenware pieces, like the monkey jar was brought to the Caribbean by enslaved Africans. Once here, they adopted European, indigenous Indian and other local techniques that influenced form, function and manufacture. Made of porous clay, with an oval-shaped body, flat base, a handle and an abbreviated spout, the monkey jar was used to carry and store water. 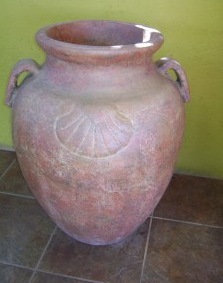 Clay pots were used to keep water cool in the days when there were no refrigerators. 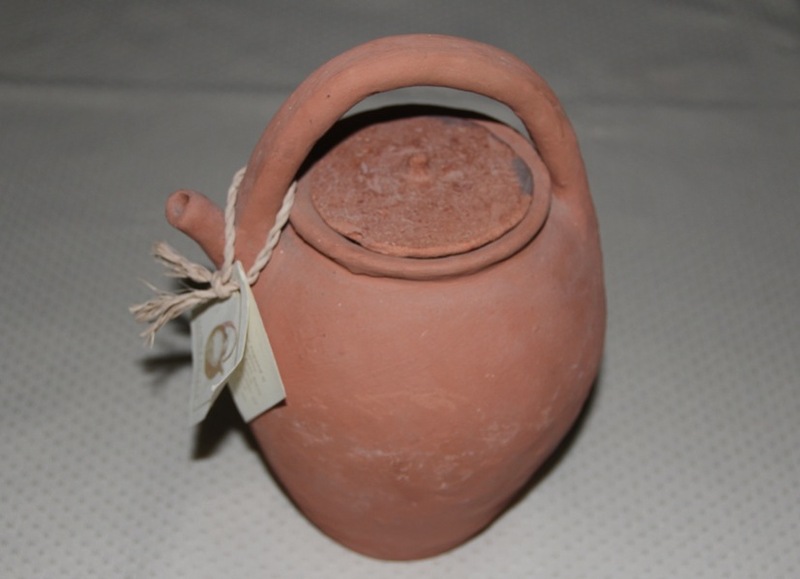 Clay is still used today to keep water in communities that have no refrigeration. Pottery-making is still practiced in Jamaica with local artists using clay that is found primarily in the northeast section of the country. The clay is mined by hand then transported out of the area. Traditional items like the yabba, a large earthenware bowl that first produced in Jamaica around 1692, are still being made. The yabba was usually handmade by women and are either by glazed or left unfinished. A yabba was one of my first purchases after I returned to Jamaica. I’ve used it as a tureen and as a mixing bowl. (Will post a photo later.) The monkey jar above is a replica that I bought at the Hanover Museum last year. I’d love to find an old one for my collection.